A house estimated to worth £2million has been traced to the former Chief of Air Staff, Air Marshal Adesola Amosu (retd.) believed to be part of the proceed of the arms fraud perpetrated under the administration of Goodluck Jonathan. The property, according to Punch Newspaper is located at 50 Tenterden Grove, NW41TH, London. The Federal Government is reportedly making moves to ensure the London property. This is as even a hospital with medical equipment worth about $2.15m which was seized from the same former Chief of Air Staff, Air Marshal Adesola Amosu (retd. ), has been handed over to the Nigerian Air ForceIt was reported according to Punch Newspaper that the hospital, St. Solomon Hospital, which is located on Adeniyi Jones Avenue, Ikeja, Lagos, is said to have state-of-the-art equipment including a Magnetic Resonance Imaging machine which costs well over $1m. It was learned that the EFCC handed over the highly equipped hospital to the Air Force because it could not manage the property and therefore decided to hand it over to the Nigerian Air Force medical unit. Other properties seized from Amosu included a house on Adeyemo Alakija Street, GRA Ikeja worth N250m; a duplex at House 11, Peace Court Estate, GRA Ikeja worth N110m; a N40m property located at NAF Harmony Estate, Asokoro base; a five-bedroomed house at Valley NAF Estate, Port Harcourt, worth N33m and a N95m house on Umaru Dikko Street, Jabi. 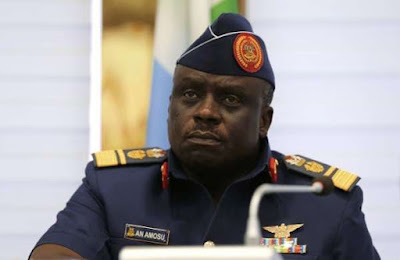 Amosu as well as a former Chief of Accounts and Budgeting in NAF, Air Vice Marshal Jacob Adigun (retd. ); and a former Director of Finance and Budget, Air Commodore Olugbenga Gbadebo (retd. 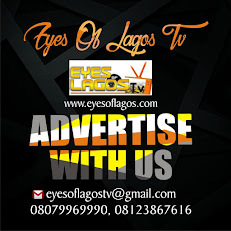 ), are currently standing trial before a Federal High Court for allegedly stealing N22.8bn from the coffers of the Nigerian Air Force between 2014 and 2015. The commission has seized 33 properties they allegedly bought with stolen funds. Documents made available to our correspondent showed that besides the hospital, the EFCC had seized plazas, schools, mansions, farms and a quarry from Amosun, Adigun and Gbadebo. While almost N2.835bn cash has been recovered from Amosu alone, Gbadebo has returned N190m. Adigun’s wife, returned some money as well. The document further stated that properties recovered from Adigun were worth N9.6bn. Calculations by our correspondent showed that the cash and assets which the air force men might forfeit permanently, add up to about N15bn which is more than three quarters of what they allegedly stole.